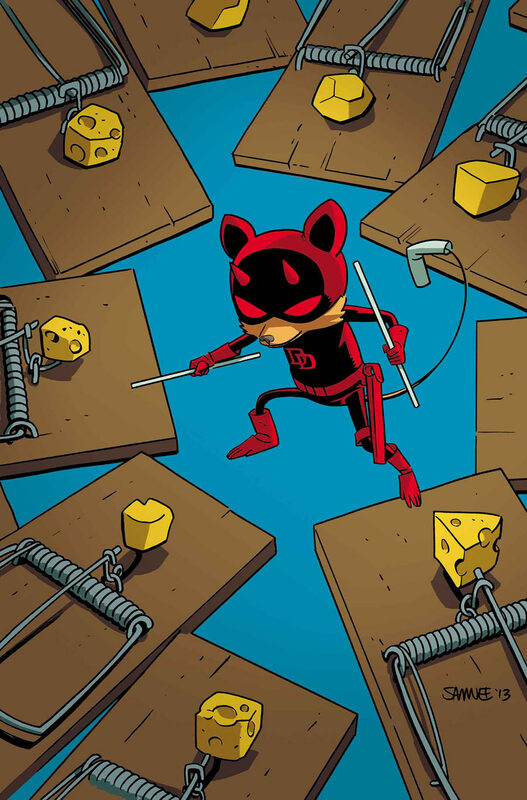 Earlier this month, we saw the solicits for DAREDEVIL #1 and all the covers etc. 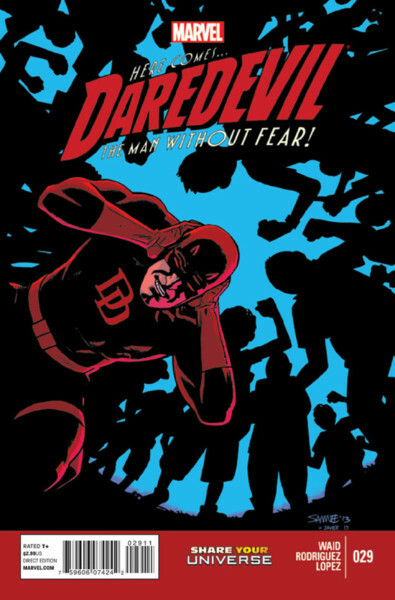 If you like the Samnee and Ross covers for DAREDEVIL, you can order posters of them! Have a safe and happy new year! See you in 2014! 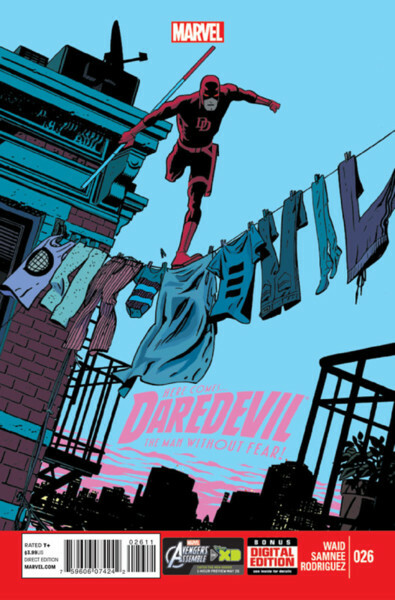 It's been quite the year for DAREDEVIL, so I thought it would be interesting to see what issues came out in 2013. 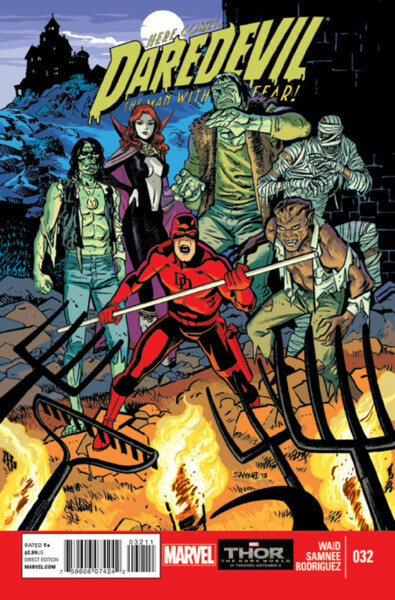 Click on any of the images for previews of the issue! 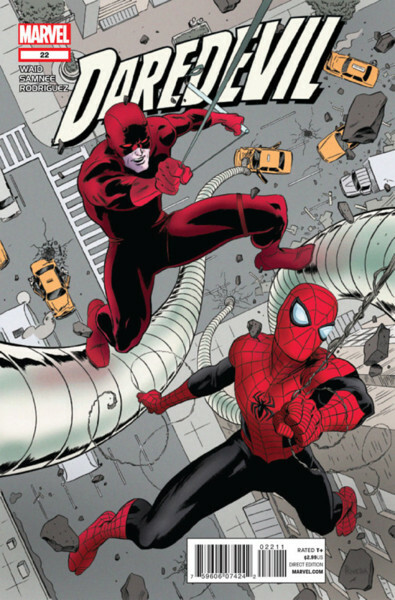 Daredevil will be making an appearance in the "Goblin Nation" storyline in SUPERIOR SPIDER-MAN TEAM-UP, starting in January, and CBR spoke with writer Kevin Shinick about bringing DD, Punisher and Spidey together again. 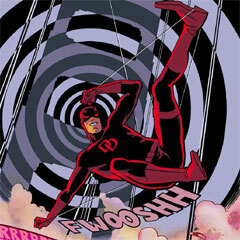 Artist Marco Checchetto draws the arc and several preview pages are available to view. 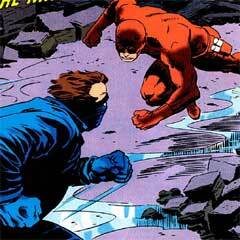 Originally, Zeb Wells had been announced as the writer of the new ELEKTRA series that was coming in early 2014. 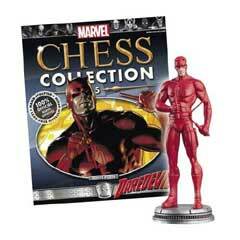 Due to some scheduling conflicts with TV writing, Wells had to bow out. 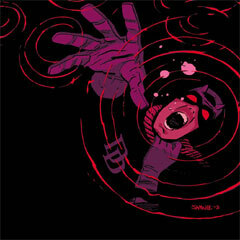 Now scheduled for April, ELEKTRA will debut with writer W. Haden Blackman, along with artist Mike Del Mundo. 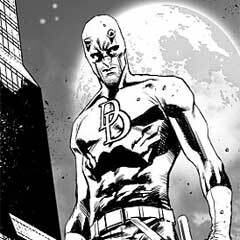 Blackman spoke with CBR about accepting the offer to write the series and what interested him in taking on the job. 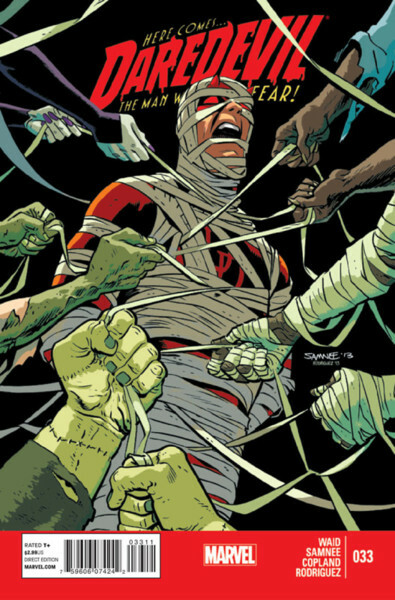 March 2014 solicits are now up on the site! 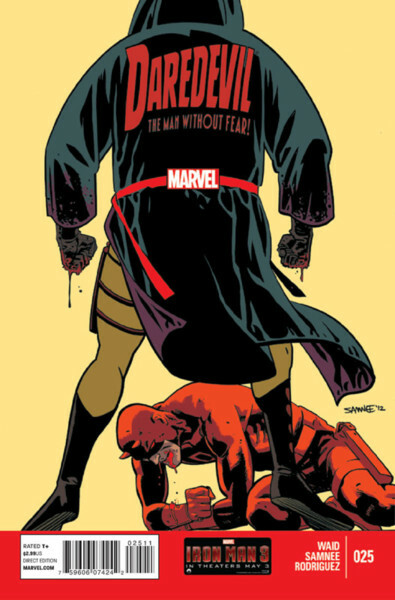 DAREDEVIL #1 comes out, with 6 covers! 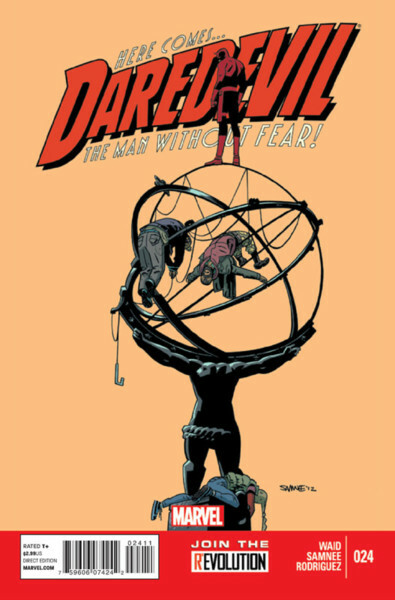 * Also the DAREDEVIL: END OF DAYS TPB ships, as well as the DARK NIGHTS TPB. 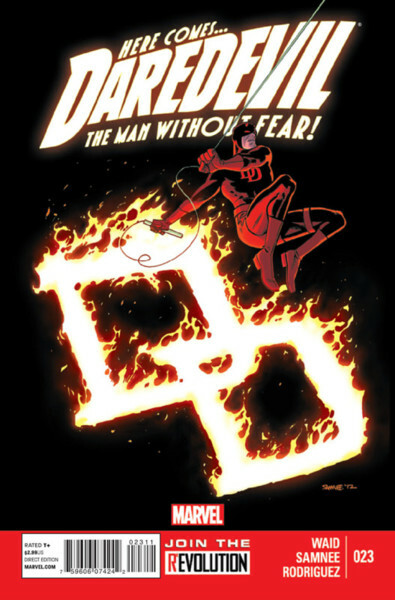 * There are some early solicits for the 5th DD BY MARK WAID TPB, and the 7th DD BY MARK WAID HC. 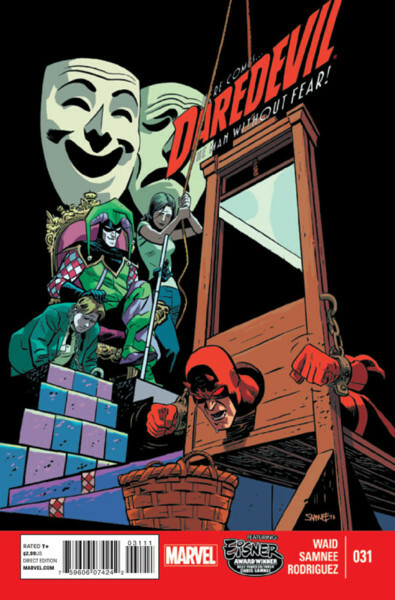 There's also a new DD AND ELEKTRA: FALL FROM GRACE TPB! 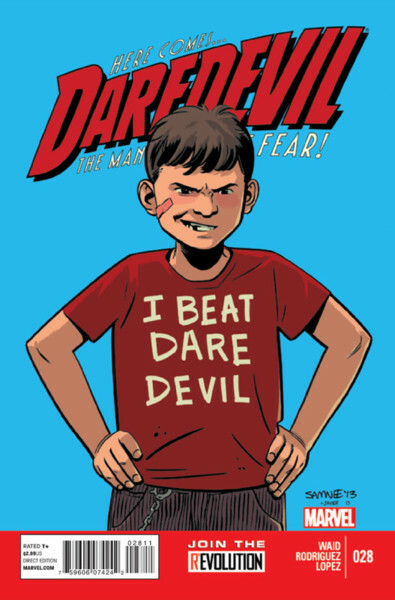 DAREDEVIL #35 doesn't come out until January, and #34 comes out next week, but here's an early look at issue #35 on the AV CLUB's web site. 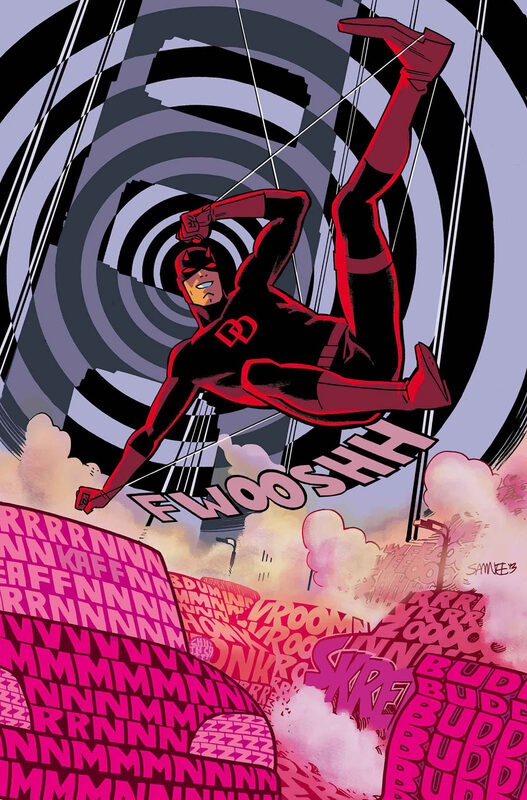 Mark Waid had an interview with Jessica Chobot at Nerdist News and they discussed many topics, including Waid's thoughts on the Netflix DD show and the comics. 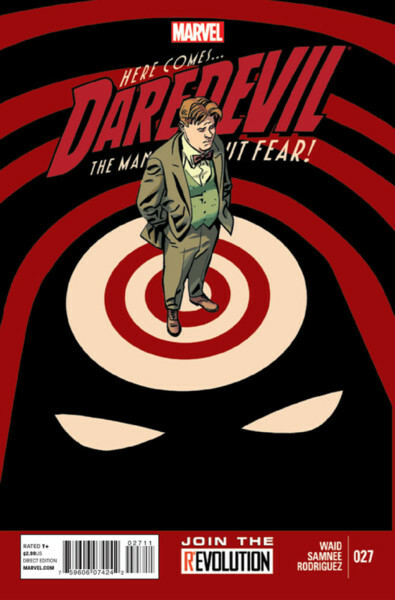 He also talks about his new book SHADOW WALK and much more. 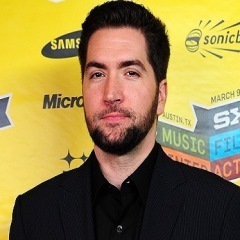 As reported here on November 12th, Drew Goddard was the frontrunner to helm the Netflix Daredevil series that is coming in 2015. 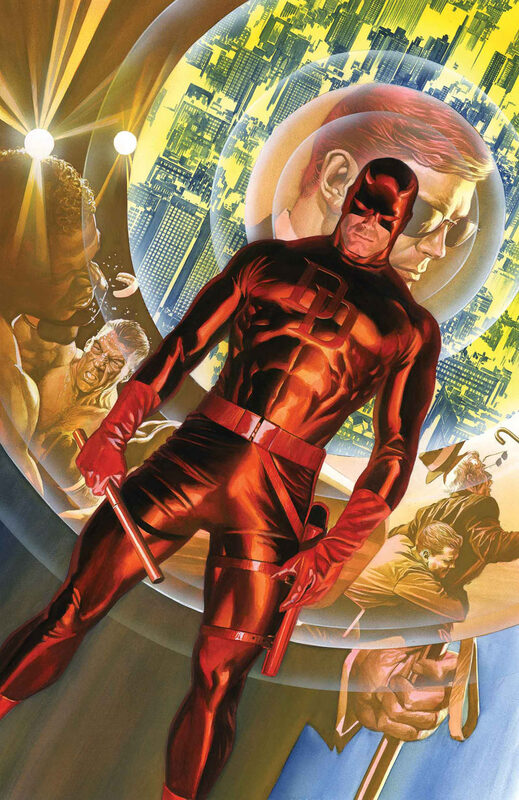 Today Marvel.com confirmed the news, saying Goddard will write and direct the first episode, and will be the Showrunner and Executive Producer. 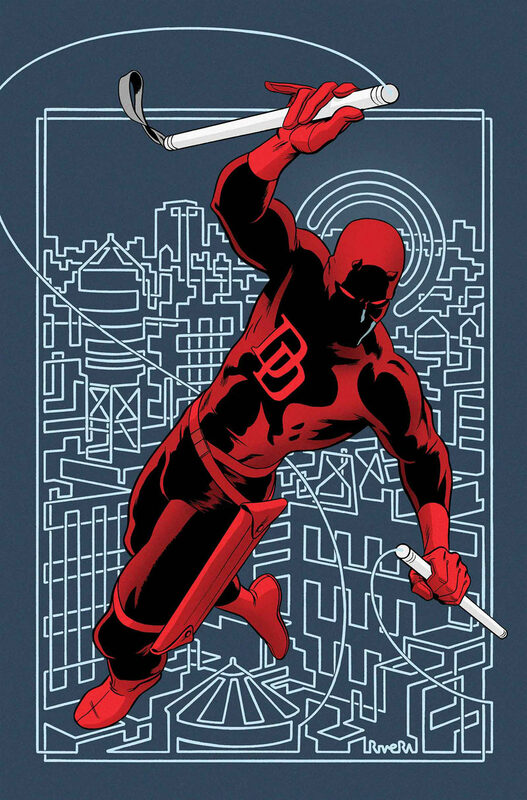 Certainly is good news, but let's hope the casting of Daredevil is also well-received. 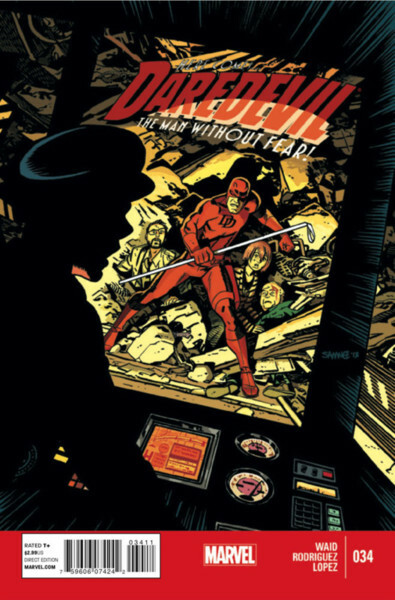 CBR's Marc Buxton posted his take on the Top 10 creative runs on DAREDEVIL, and DD fans are sure to have an opinion on some of his choices. 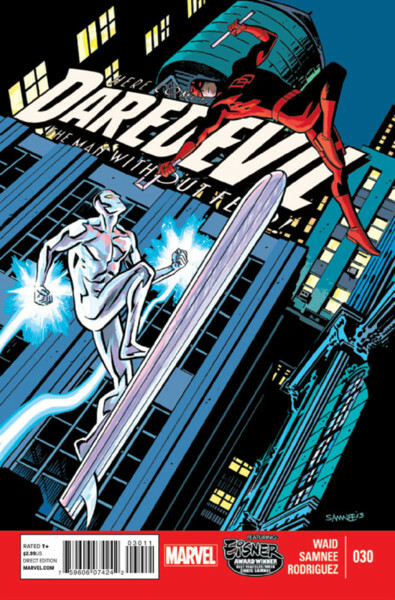 While some of the more well-known runs are featured, he also chooses some runs that aren't quite as well-known or well-received. Have a read and let me know what you think on the board.